As the world has turned to digitalization, the number of people working all day sitting at a computer has grown substantially. Are you among those people, working hard, and ruining your back and your overall health on a daily basis? Or are you simply an avid gamer, searching for that perfect chair? If the answer is yes to either question, then perhaps it’s time you make a serious investment in a good and comfortable office chair. A chair that will conform to your posture and make your life easier and improve the quality of your overall health. Let us show you the Leap chair from Steelcase. 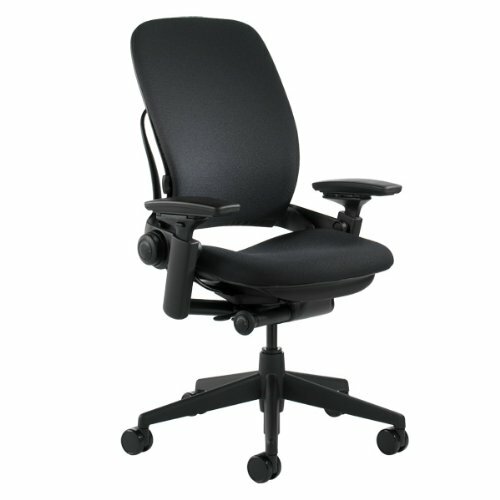 Coming from a brand that’s amassed quite a reputation where office chairs are concerned, the Leap chair is actually one of the best-selling premium quality office or gaming chair. The ergonomic chair has many features and options, so pricing may vary greatly, but either way it is considered one of the finest office chairs available on the market. It has grown quite a reputation in the gaming world, as well. Frankly speaking, this chair is for anyone who can afford to buy a chair that provides the ultimate comfort. If you work hard and sit in a chair for endless hours each day, or play games or stream for the most part of your day, then this chair is the perfect solution to all your problems, back related or not. Included in the package is just the chair and not much else. On the other hand, you really don’t need anything to go with it. We really like the fact that the chair comes preassembled, so there is no assembly or tools needed. Just pull it out of the box, sit back, and relax. First of all, we must admit that the chair looks gorgeous and it seems like it was really built to last. Made almost entirely out of recycled materials, it will be adored by all those who care strongly about the environment. You can specify leather or fabric, and there are numerous different colors to choose from, so the chair can easily fit any custom designed interior. There are also three different colors for the frame to choose from, but the customization options don’t end here. The design of the wheels, the headrest, and the arms can be customized, and the same goes for the footrest located at the bottom. It goes without saying that all the additional options will be reflected in the price tag. When you sit on it for the first time, you are likely to find that it provides just the right balance between support and comfort. The manufacturer claims that the chair can withstand 300 pounds of weight without any loss in performance. Of course, it all boils down to extreme adjustability. If you want different levels of firmness for your lower back support, you can adjust it. You can also do the same for the mid-area of your back. The armrests can be adjusted telescopically in four different directions. This allows for the support of numerous different postures and you can use many kinds of devices while sitting very comfortably. On top of all this, you can also adjust the depth of the seat and the back stop is fully variable to provide perfect support for any kind of posture. We would also like to add that the chair offers quite a bit of breathability, even though the back isn’t made from mesh. You can’t really expect miracles though, especially if you’re among those who perspire easily. Keep in mind that due to numerous available adjustments, you can’t just sit down and expect it to perform at its best. We strongly suggest you take your time and fiddle with different combinations of adjustments until you find the one that fits your body and posture the best. In most cases, we’d go on and suggest something that is of a similar price range and features to what we’re talking about at the moment. But, in this case we’re on the verge of saying that it would just be a waste of your hard-earned cash. This is why we suggest you take a look at an even pricier, flagship model from Steelcase, their Gesture chair. Sure, it does look like it came from the latest sci-fi blockbuster movie, but it provides even more options for adjustment and customization, and it’s been designed in conjunction with physicians. It is a true gem of a gaming chair. As you’ve probably noticed so far, this is a chair that is hard to beat and it is rather hard to pinpoint any major flaws with it. Yes, it does come at quite a hefty price, but you can consider it one of the best investments of your life. And here’s why. It will save your back and it will improve the overall quality of your health. All things considered, it has passed our little test with flying colors.